This listing is for custom patch design digitizing services. The fee covers the cost of turning a pre-existing image, provided by the customer, into an embroidery file for use in a custom patch order with Storied Threads. This is a fee for design services ONLY. The fee does NOT include the cost of patches, nor does it constitute the purchase of the digital embroidery file created by Storied Threads as a result of this transaction. 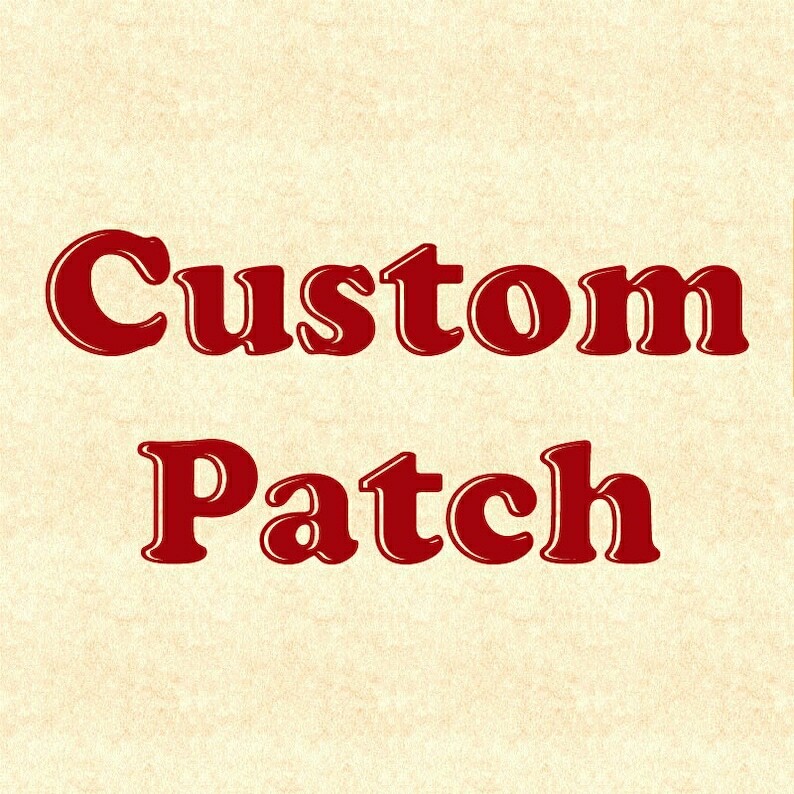 Patches based on the customer’s design are a separate charge, and the cost per patch is based on the total stitch count of an individual patch. Factors such as size, complexity, and whether the patch is fully embroidered (i.e., the entire image area is stitched) will affect the final cost per patch. We can on request provide an estimate on the cost per patch based on the image provided by the customer. The digitizing fee is non-refundable. Therefore, we recommend contacting us prior to purchasing this listing and attaching a JPEG of the image to be digitized for an initial estimate. A virtual proof in the form of a computer sim of the design will be provided to the customer for approval. We will make up to two major adjustments to the design as part of the initial digitizing fee. A additional fee will be charged for each additional major adjustment. It takes 7 to 10 days to complete the digitizing work. Any patches ordered will take an additional one to two weeks to make. There is no required minimum order on custom patches, but we offer a 10% bulk discount for orders of 10 patches or more (patches must be within a single order to qualify for the discount). We do NOT design patches for customers. Customers must provide us with a pre-existing image. If you require design services, we will provide upon request a list of reputable graphic artists who would be happy to work with you in creating the image to be digitized. Please note: any costs associated with design work are separate and are not deducted from any costs associated with our work digitizing your image or manufacturing the patches. We do NOT duplicate copyrighted logos such as from corporations or sports teams. Pictures included in this listing are examples of custom patches I have made, and are not the actual items for sale. Excellent work, quick turnaround on revision. The patches were absolutely fantastic. Thanks so much.